Teacher Michael Jephcott is using the Share for Classroom ™ application from the MetaMoJi Education Solutions suite to teach his energetic class of six- and seven-year-olds the fundamentals of geometric shapes years before other California children will encounter a formal geometry curriculum. MetaMoJi today reported on a unique adaption of Share for Schools. In the small town of La Puente, California, Teacher Michael Jephcott teaches First Grade in one of the smallest and most challenged school districts in Southern California. Resources are slim at Don Julian Elementary School in Bassett Unified School District. The District is located in a working class, racially diverse area in the flatlands of the San Gabriel Valley, on the eastern edge of the vast Los Angeles County. This is an exceptional classroom in an exceptional school district. And on a warm spring morning in Southern California, Jephcott is using the Share for Classroom application from the MetaMoJi Education Solutions suite to teach his energetic college-bound class of six- and seven-year-olds the fundamentals of geometric shapes – years before other California children will encounter a formal geometry curriculum. The families of the young students in his classroom may not be able to afford computers at home, but each child in Jephcott’s home room is equipped with a new impact-protected Apple iPad loaded with digital instruction materials developed by their creative teacher personally and embedded inside the MetaMoJi Share for Classroom installed on each electronic tablet. The early morning prayer chants from a nearby Buddhist monastery compete with the sound of roosters and other livestock that grace the small yards and modest stables surrounding the school. The Bassett Unified School District is more than 100 years old and lies atop lands of an even older Mexican land grant – Rancho La Puente – once just secluded farms, fields and groves that predated the entry of California into the United States. Despite its rural remoteness from the busier urban streets of the City of Los Angeles 30 miles to the West, Don Julian Elementary School participates in a demanding national “No Excuses University” program that assigns each classroom to a specific, high-achieving university. Classrooms enrolled in the “No Excuses University” program must meet tough academic goals. Teachers are encouraged to seek out not only with the latest mobile technology the school district can afford but also provide the class with banners and t-shirts proudly decked out with logos from the classroom’s assigned university. Jephcott’s class is focused on Yale University and has even memorized the songs and mottos of that elite Ivy League university. His first graders will gleefully belt out the Yale Bulldog fight song on the slightest provocation. Jephcott and his wife are both talented and skilled elementary school teachers and enthusiastic world travelers. He holds a degree in environmental design from the California State University system and a master’s degree in education earned with honors at nearby Azusa Pacific University. Jephcott also has met and is identified as an H.Q.T. metamoji.com content analysis or Highly Qualified Teacher under tough U.S. federal criteria for demonstrated classroom competence. 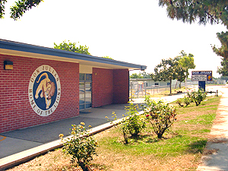 Don Julian Elementary is one of only three elementary schools in Bassett Unified School District, but the District has a progressive open platform policy which allows selected and innovative teachers to design their own hardware and software environments. Jephcott, with his degree in design, is an Apple enthusiast to the core, so he delighted in designing a classroom environment at Don Julian Elementary around advanced Apple iPad tablets, going hunting then among the available education-oriented mobile apps in the Apple Store. He was very happy to discover the just released MetaMoJi Share for Education app. The teacher’s own technical prowess and skillfulness is apparent, as he first smoothly guides the young children in his care through traditional arithmetic sums, using Jephcott’s own custom-designed calculation forms inside the MetaMoJi Share for Classroom app and easily findable by each child in their individual files proudly stored in the MetaMoJi cloud. Jephcott was able to quickly access the completed (or sometimes incomplete) calculation sheet of each student and, if needed, project it for instant improvement or praise onto the class screen using a new Epson whiteboard projector. The second half of his curriculum that morning was particularly innovative … and also all done inside the MetaMoJi Share for Classroom app. Jephcott was leading these very young children in an advanced introductory session on geometric solids – they had done two dimensional geometric shapes on Share earlier in the week. For the customized geometric solids curriculum, Jephcott embedded a findable “dictionary” inside each child’s Share files – really a shared snapshot of a handmade picture-and-text poster he hung earlier in the week in the front of the class. Whenever the young children were a bit distracted, he would quickly bring up on each of the iPad screens this bold poster: “Eyes On Teacher!” The kids would all point to him and chorus loudly and gleefully in response: “Eyes On You!” and settle down to happy, attentive, raptured silence. Their talented teacher then held up three-dimensional objects, one by one, and moved among them while lecturing a bit on each singular 3-D shape, making sure the kids were familiar with the names – cube, sphere, cylinder, pyramid, cone. Jephcott had earlier scattered several odd sets of the objects around the classroom in random places, and now had the students do a joyful treasure hunt. Each child was free to roam the classroom with their impact-protected iPads in hand (still within the Share app). The mission? To track down at least one of each shaped object, photograph it with their iPad camera option linked and embedded inside the Share for Classroom app, then add the name of the object by individually typing it into a caption. Jephcott was then able to selectively pull up any single photo with or without a caption from a student’s own personal file and project it forward to the whiteboard for all the class to admire. Finally, the students finished the lesson with a casual exercise in discovering and calling out the same like shapes inside other structures and among common objects found in any conventional classroom – globular light bulbs, cube-shaped file boxes, square windows, even cylindrical water bottles.